Finding value in DFS can be the difference between winning serious money and coming away with nothing. Each week we’ll release our top DFS value plays to help fill out your lineups. In Week 14, we recommend riding the Patriots Sony Michel playing Carson Wentz versus a tough Cowboys defense. Finding value in DFS can be the difference between winning serious money and coming away with nothing. Each week we’ll release our top DFS value plays to help fill out your lineups. In Week 14, we recommend riding the Patriots Sony Michel playing Carson Wentz versus a tough Cowboys defense. ## Carson Wentz, QB Eagles ($5,400 DraftKings) ($7,300 FanDuel) Wentz is dirt-cheap this week on DraftKings with a salary of only $5,400. That's $100 less than Josh Allen. The reason Wentz's price is so low is because he's playing the Cowboys' seventh ranked pass defense. Dallas allows just 227 passing yards per game and the ninth fewest fantasy points to quarterbacks. However, sometimes stats and matchups don't apply when teams face each other a lot. The first times these two teams met in Week 10, Wentz threw for 306 yards and two touchdowns. He scored 25 points on DraftKings. I'm a big believer in taking studs in DFS when they have low salaries. Great players tend to be matchup proof. Play Wentz despite the tough matchup this week. 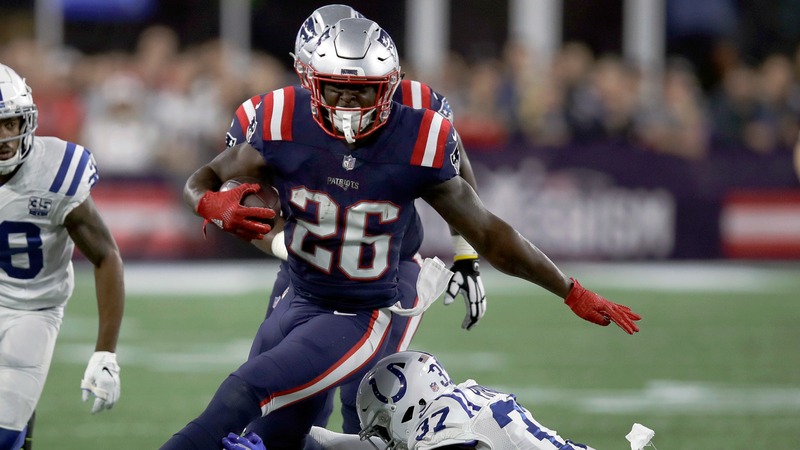 ## Sony Michel, RB Patriots ($5,900 DraftKings) ($6,900 FanDuel) Michel disappointed last week against the Vikings with just 63 yards on 17 carries. However, it was a tough matchup with [Minnesota ranking as the seventh best rush defense ](http://www.espn.com/nfl/statistics/team/_/stat/rushing/position/defense)in the NFL. This week Michel gets to feast on a [Dolphins rush defense allowing 24.9 attempts and 117 yards per game](https://football.fantasysports.yahoo.com/f1/pointsagainst?season=2018&pos=RB&mode=average) to running backs. Don't let last week discourage you. Michel has 38 carries in the last two games and he racked up 133 yards two weeks ago against the Jets. Michel is a strong DFS play this week. ## Adam Humphries, WR Buccaneers ($4,900 DraftKings) ($6,500 FanDuel) Humphries is still available in half of fantasy leagues for some reason. On Sunday, he caught seven passes for 61 yards and a touchdown. Humphries has now caught a touchdown in three straight games. He has five touchdowns in his last five games. Humphries has topped 50 yards receiving in seven of his last eight games. This week Humphries faces a Saints defense allowing the most fantasy points to receivers. Humphries has scored at least 14 DK points in five of his last six games. Don't be afraid to use him this week. __More fantasy:__ [Week 14 starts and sits](https://www.betchicago.com/fantasy-football-week-14-start-em-sit-em-playoffs) ## Tyrell Williams, WR Chargers ($4,600 DraftKings) ($5,800 FanDuel) If you're really looking for a flier this week, how about a guy who has done virtually nothing this season? Williams is a big-play receiver and he's facing the Bengals 31st ranked pass defense this week. Cincinnati gives up a ton of big plays and the 14th most fantasy points to receivers. When the Bengals played Tampa Bay, they allowed 247 yards and two touchdowns to Mike Evans and DeSean Jackson. This could be a similar kind of matchup with Williams and Keenan Allen giving them fits. Williams is a high risk/high reward DFS play. ## David Njoku, TE Browns ($3,900 DraftKings) ($5,300 FanDuel) Njoku tends to fare well when he has a good matchup. It just so happens this week he faces the team allowing the most fantasy points to tight ends. The Panthers have given up nine touchdowns to tight ends this season and an average of 5.8 receptions per game. Njoku has scored double-digit DK points five times this year and he shines when the matchup is right. It's right this week.